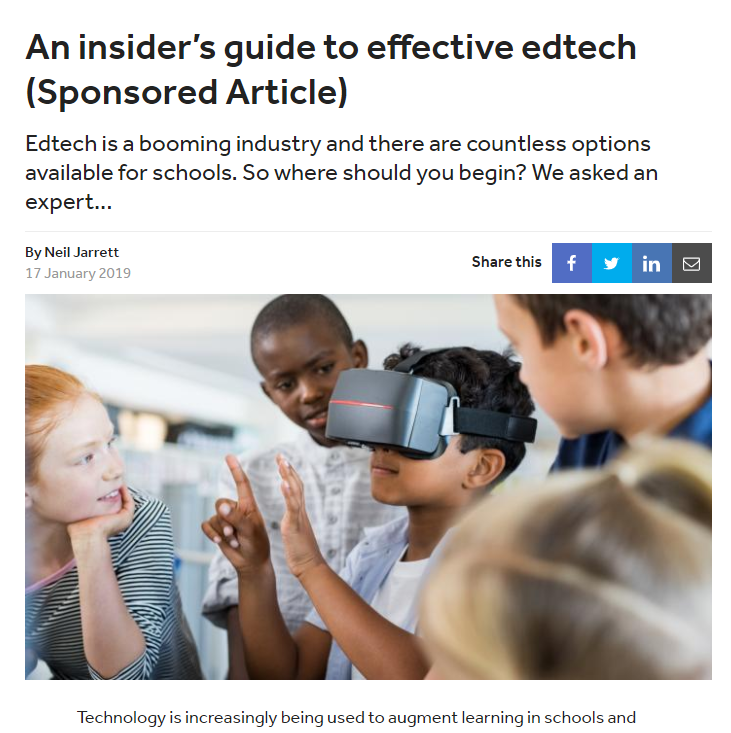 I recently wrote an article for the TES about using edtech effectively. In it, I hope you can find some useful tips! Previous Can Activity Trackers Help Keep Your Kids Healthy?